Our fingers are furiously flying here at 5CC as we continue smashing through tons of new features and bug fixes for our board game search platform. 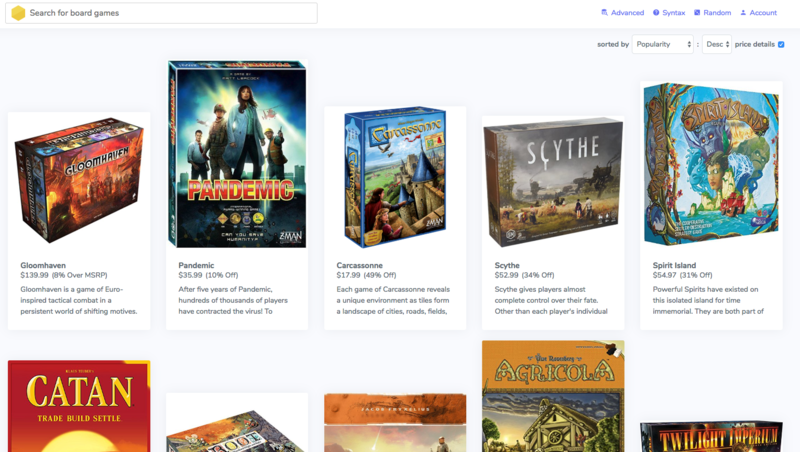 We're committed to create the worlds most powerful board game search engine and wanted to give you an update one what we've done in the last week of work to get it closer to reaching that goal! Here's a breakdown of the most notable features. Do you had trouble remembering how to spell a game's name sometimes? I do. 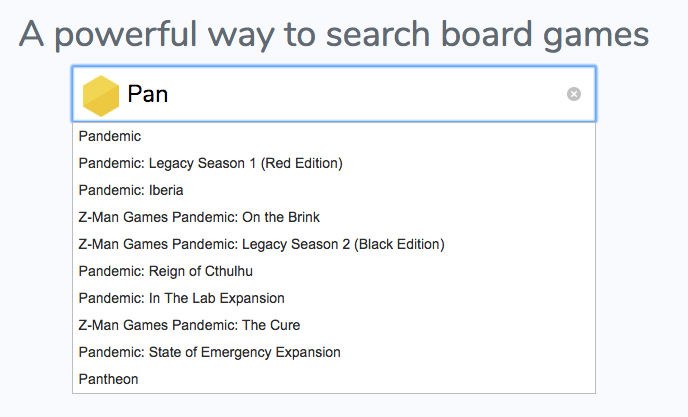 We've got you covered now with a new autocomplete feature for our search bars! As you type into the search bar, the app will suggest game names that you might be looking for. The idea of being able to see more results on one page, especially on mobile, seems so simple that it's funny how we didn't think of the feature earlier. It's here now though! If you want to see the search results in a list view, you can by clicking the list icon on the top left of the results page. 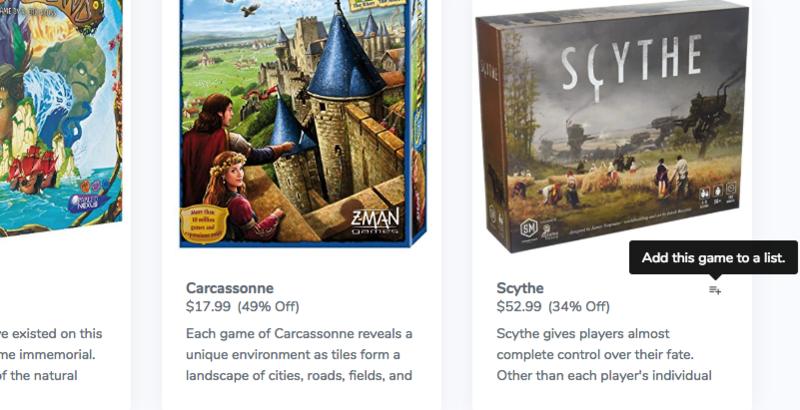 We just announced a board game wishlist giveaway, which is still going on by the way, and received a lot of great feedback on the feature. We've heard what you've requested and added a way to add games to lists from the results page itself. Just hover over the game info area and you'll see the add to list icon. We've added a storage field into our database to hold game names in other languages. We're still working on adding this into our search algorithm, but that won't be too long from now. Feel free to add the alternate game names into all your favorite games as you come across games missing that information! We've made several other improvements and also fixed a few bugs. Here's a quick overview of some other more minor ones. The feature list and bug fixes list here have been heavily influenced by the feedback we've gotten from reaching out to about 60 users. We are hungry for feedback and want to see this not only thrive but become something spectacular for the board game community! Feel free to comment with any feedback, requests, or issues or send an email to contact@5colorcombo.com.